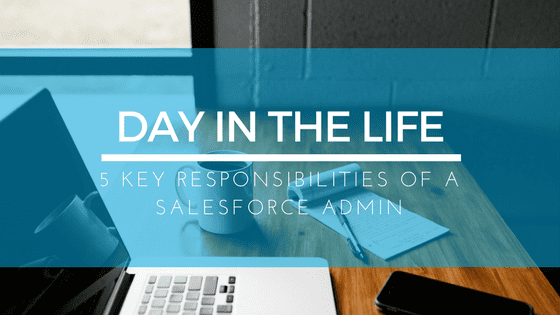 As a Salesforce admin, you will be wearing many different hats. Salesforce as a whole is meant to be a product that services many departments, so you will be working with many different people, recommending things, and getting best business practices built into your Salesforce production org. You will be meeting with many different departments, reviewing what their business needs are, and providing recommendations. Communication is key when it comes to being a successful Salesforce admin. Understanding needs and keeping those lines open enables a successful Salesforce CRM solution. You will be finding out what the best tools are, and what the best way to build out the Salesforce production org is. It is important to stay on top of Salesforce news and trends as an admin. Subscribe to the Salesforce blog and build your admin connection network. Exchange tips and tricks as you go. Join relevant Salesforce Admin Facebook groups as well. As new things come up, you will make changes to the platform, and update it for the business. What management looks like is conditional to the case and business, but the objective is the same – to deliver a sustainable, effective solution. Once you do a business review, you may realize a marketing tool is needed. You may integrate Marketo or Hubspot into the platform for a business, for example. The configuration of outside tools that are needed with Salesforce is very important. They will be essential for providing clients a holistic solution. Now that you have integrated Hubspot, or another marketing tool, you create a set of documents for the team to help them understand its basic functions. That way, they can become self-taught or use them as a reference, so when you are working with other customers, they will have been supplied with tools from you to further their understanding. 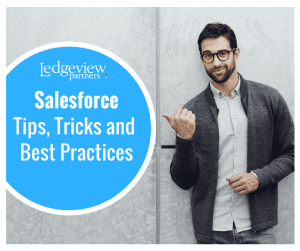 You may even set up ongoing training sessions with team members to provide additional support, comfort, and confidence in the Salesforce production org. Dependent upon your company workflow and project assignments, you may have many supplementary tasks designated to you in addition to the aforementioned. Like these tips? Subscribe to our blog to get more tips for both Salesforce Administrators and Users.